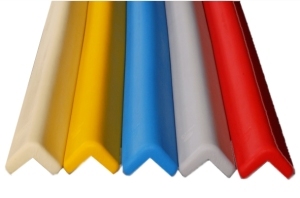 Wall Corner Guards - Safety Cushioning. The guard dimensions are 1000x 58 x 58 x 15 mm. Please ask for a sample to view the actual colour and construction of this product. Window Restrictors prevent children falling from open windows | Fits all types of window | Tested to EN 13126-5 : 2011 + A1 : 2014 | Supplied as a complete kit.